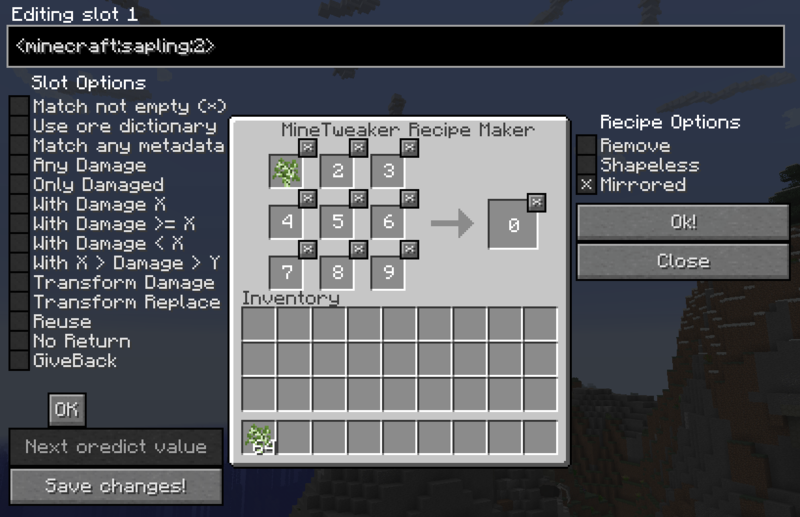 AS OF 1.12+ RELOADING WAS REMOVED YOU MUST RESTART THE GAME/SERVER FOR RECIPES TO TAKE EFFECT! THIS IS NOT A BUG!!! THIS DOES NOT WORK WITH ANYTHING OTHER THAN VANILLA CRAFTING TABLES. YOU MUST HAVE MINETWEAKER / CRAFTTWEAKER FOR THE SCRIPTS TO LOAD! PLEASE DO NOT ASK US FOR MINETWEAKER / CRAFTTWEAKER SUPPORT! USE THE WIKIS BELOW! 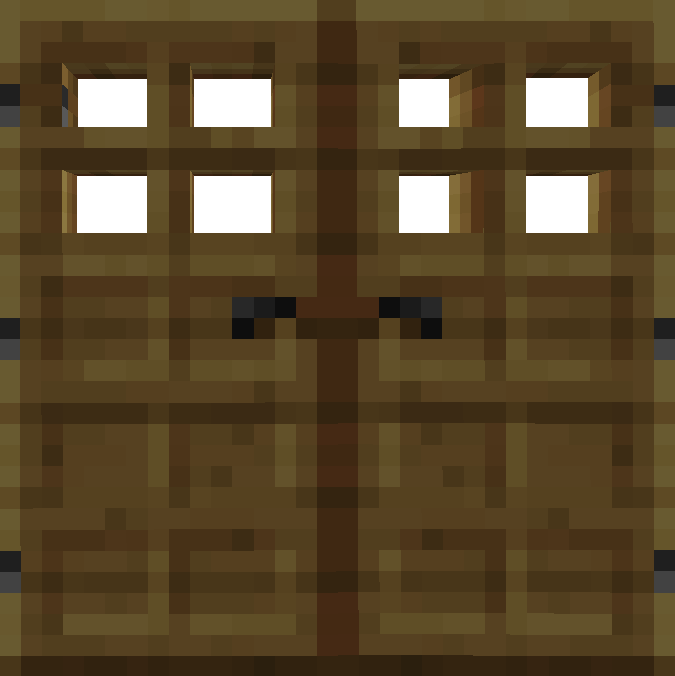 This mod should work with Minetweaker OR Crafttweaker, and if it doesn't, let us know! Get always up to date builds here or Use the Issue list! Don't forget the crash log! Does this write to the server's script files or does it only write to the clients? I don't recall how it works. It did at one time but I'm not sure if that was ever removed or not. You should do scripts on your client and upload to the server when you are done anyway for sanity's sake. Is it possible to add an option to make the recipe replace the vanilla recipe for the item? Are you trying to say add a way to remove recipes? It already does that. This mod is effectively dead. It doesn't get updates as there is another to replace it someday(TM). Its all part of doing scripts, its also not that much more work to drop the item in the output slot and click OK.
Just like the scripts there is two ways to remove recipes. Place the thing you want to remove recipes for in the output slot and that will remove all recipes for it. Otherwise if you want to remove a specific one you can fill in the grid and put the item in the output. Obviously you need to check remove also. Does this mod need to be enabled in a modpack or server for the scripts to work? Or just MineTweaker/CraftTweaker? Mine/Craft Tweaker does everything. This is just a fancy text generator. Gotcha! Well thank you for it! It's really useful. As stated many times before no. This will never support more than the vanilla crafting table. It wasn't made to work like that. There is an improved version but I have not been able to make it work correctly thus I never posted it yet. Can I get the source code to do it myself? There is a source button at the top? Just a heads up, this mod loses half its functionality with JEI in place. Half the GUI is overlapped by JEI-mod which renders it unusable. Please fix. Change your GUI scale. This mod isn't going to be getting any more updates/changes or fixes.